W. W. Norton & Company, 9780393240115, 342pp. 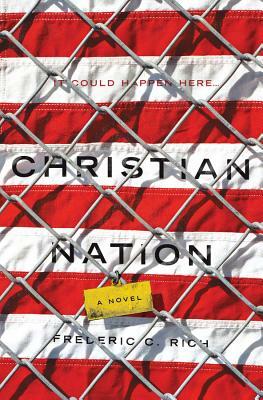 So ends the first chapter of this brilliantly readable counterfactual novel, reminding us that America's Christian fundamentalists have been consistently clear about their vision for a "Christian Nation" and dead serious about acquiring the political power to achieve it. When President McCain dies and Sarah Palin becomes president, the reader, along with the nation, stumbles down a terrifyingly credible path toward theocracy, realizing too late that the Christian right meant precisely what it said. In the spirit of Philip Roth's The Plot Against America, one of America's foremost lawyers lays out in chilling detail what such a future might look like: constitutional protections dismantled; all aspects of life dominated by an authoritarian law called "The Blessing," enforced by a totally integrated digital world known as the "Purity Web." Readers will find themselves haunted by the questions the narrator struggles to answer in this fictional memoir: "What happened, why did it happen, how could it have happened?"